The free samples are gone but the enthusiasm still remains. The popular Arizmendi bakery has been preparing for an opening in San Francisco's Mission district for months now but now there is a sign announcing a start date. There is of course one problem: the date is wrong. Eater SF reports despite a sign hanging on the storefront at 1268 Valencia Ave. in San Francisco that the new restaurant "see you next week," it won't actually see you for another couple of weeks. 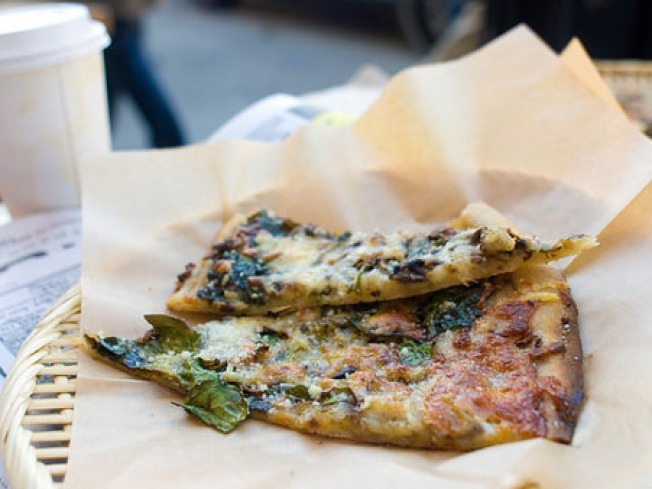 Arizmendi says it will open on Oct. 13 with lovely pizzas and tasty baked goods. Thursday, hungry neighbors got a tasty preview of what's to come to the Mission.